Hi guys! I'm about to tell you how crazy I am about this pair of Ralph Lauren sunglasses! I do have few designer sunglasses and they all are the same shape,so I decided to browse for another pair that would look different this time. And I have found the perfect one! It's a cat eye shaped sunglasses from Ralph Lauren. As RL shapes always fit me perfectly I realize that these would probably look stunning. I found them on sunglasses-shop.co.uk ,really great online store with a big variety of designer shades. 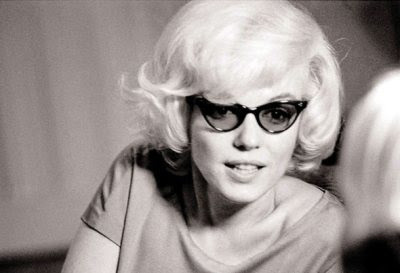 Why I like cat eye sunglasses? Simply because they are classy! Cat-eye shapes were mainly popular in the 50s and 60s among fashionable women. 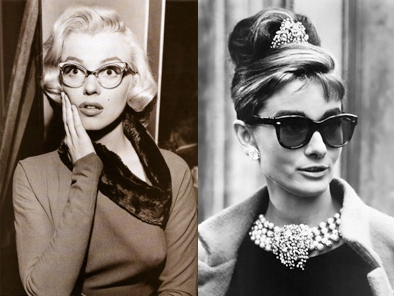 Of course Audrey Hepburn and Marilyn Monroe contributed to the success and popularity of the cat-eye sunglasses. 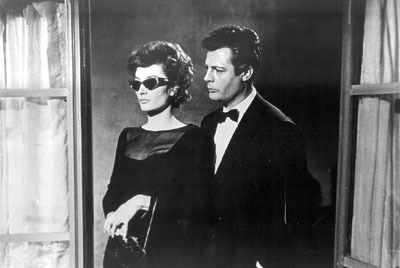 And nowadays there is a big variety of different sizes, colors and shapes of cat-eye sunglasses. Many celebrities were them with little black dresses as well as with jeans and t-shirts. How to wear them? Ohhh...this is my favorite part! First outfit that comes to my mind when I see RL shades is LBD outfit. Why? It's classy and perfect! Total black look featuring simple black dress, however you might wanna add "cat" touch by wearing animal print bag. Talking about classy, I would definitely wanna try Audrey Hepburn's outfit from "Breakfast at Tiffany's". Important thing is to chose a perfect shaped dress, beige trench coat,gorgeous jewelry and this look is ready! Or you can find something similar to this look,in case you don't want it to be too "Audrey". 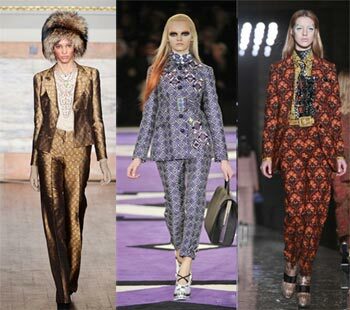 Third way to wear them is for those who are not afraid to be noticed-vintage look. Bright colors, kitten heels and red lipstick.Oh, and don't forget about the hairstyle it have to match you outfit. 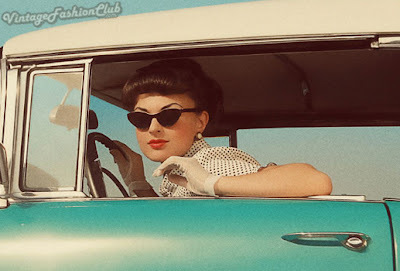 Lastly you can wear cat eye sunglasses with practically everything you want. Make it casual, military or "leather and fur" style! As you can see these sunglasses can go with everything. They are perfect at any place and any time. It would be a great purchase that will make itself useful, without just lying among the other things in our closets.